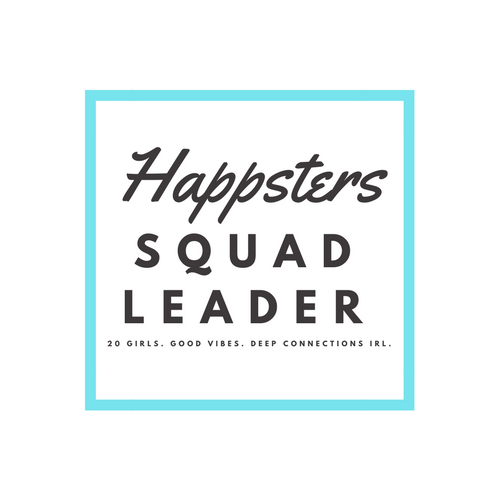 Today marks the start of a series called “Happsters Happy Questions,” where I feature incredibly inspiring women once a week. In these interviews, we’ll dive deep into how these women got where they are today, what drives them and get their advice on how to lead happy, healthy lives. I’m delighted to start this series with Katie Brauer. Katie happens to live just down the street from me, so I got the chance to sit down and connect with her in person for the interview. I have always been fascinated by the body and human potential. I started out as a professional snowboarder and suffered a lot of injuries throughout my 7 year career, which provided me the opportunity to study a whole lot of things that I was interested in. The first time I blew my ACL out and needed a full reconstruction, I went to massage school and fell in love with bodywork, during my next bout of down time from injury, I did a 2 year program in classical Pilates. Pilates was a huge part of my rehab and became complimentary to snowboarding. When I had to have my second ACL reconstruction, the rehab wasn’t working and my swelling hadn’t gone down, so I decided to try to understand what was going on the inside. I went to the Vail library and started reading books on chakras, the energy body and emotional wounding and experimented with visualization and meditation. While I previously didn’t love yoga, once I started doing these things, I began seeing yoga as a mind body practice as opposed to just a physical practice. I’ve been down the mindfulness and yoga rabbit hole ever since. Eventually I combined everything I learned from yoga, Bio Dynamic Craniosacral Therapy, classical Pilates, functional movement, Therapeutic Massage, Somatic Experiencing, trips to India and personal experiences to create my own teacher training program and worked to build out my yoga programming and approach. I’ve trained thousands of teachers over the last decade, have owned my own yoga studio and served on the Executive Team of the fastest growing boutique yoga company, Yoga Six. My career has followed a very natural evolution and I have no idea what is around the next corner, currently I am focused on two major areas of my business: I just launched The Yoga Professional™ and provide education, inspiration + a modern approach to supporting the evolution of Yoga Teachers to rise as Professionals that sets them up for long term career and financial success. While I was training yoga instructors, I learned that every yoga teacher I came into contact with wasn’t making the money they desired and didn’t know what steps to take to get there. Now I help yoga instructors with the business component of their careers with group coaching and masterminds. The other leg of my business is focused on educating and supporting women in living an empowered life and teaching them how to skillfully ride the highs and lows through modern mindfulness techniques. Editor’s note: See the last question to get more details on how Katie empowers women through her online program starting soon! 2. You’ve accomplished A LOT in your life. What do you believe is your greatest accomplishment both professionally and personally? Personally, it would be my relationship with my mom because it wasn’t good for a long time and there was a lot of wounding on my part (I’m a highly sensitive person). I just can’t believe where we were and where we are now. I think that is a testament to how important the internal work is and our responsibility as individuals to pick up the carpet, look underneath it, and deal with what’s there. Professionally, I’m proud of the fact that I make a multiple six figure salary doing something that I love. When I tell people I’m a yoga teacher and coach, many people “poo poo” it and it just makes me smile. It’s been interesting to observe the change in my identity along the way. From the identity of being a pro snowboarder to feeling pressure to moving on after my injuries to get a real job with a title to where I am now. There have been many different identities along the way as my jobs have changed, but what I have learned is the title doesn’t matter, but what you are doing, the impact you are having and the contribution you are making does. The first thing I do when I wake up is lie there for a few moments to check in with my body and notice how I am feeling. I notice how I’m feeling physically, energy-wise and emotionally. I ask myself “what do I need right now?” and do what I feel in that moment instead of doing the same exact routine every day. My husband is in the military, so a lot of times he’s gone and I generally spend about 30 minutes hanging out with my daughter in bed. She’s starting to talk and that time with her is so amazing. Then I usually drink a big glass of lemon water and coffee, make my daughter breakfast, and we go hang out in the backyard together. My old routine was wake up and get up right away. There was no pause and transition time, but now that I have my daughter in my life, my mornings are very spacious and not rushed. 4. Has being a mom changed how you’ve run your business? It has heightened my awareness around the impact that my actions have on others. My daughter is almost 2 now and she’s modeling after me the same way that I modeled after my mom. I have a lot of incredible traits that my mom has, but I also have a lot of patterning that I learned from her like a “just get it done” and “keep going no matter what” mentality. Now after having my daughter, I think about how I show up for everything I do and how my actions impact other people. 5. What do you know now that you wish you could have told yourself 10 years ago? Less is more. I know now how important rest is and that I need space for creativity. I know that by giving myself space, I’m able to tap into my best work. That’s a key piece instead of “go-go-go” all the time. I feel like something huge is on the horizon because I’m finally understanding that piece. I’m realizing that doing nothing doesn’t mean you’re doing nothing. 6. I heard you have a great program for empowered living starting soon. Can you explain what it is? Absolutely. My Flourish Program for Empowered Living starts Wednesday the 10th of May. I run the program every spring and it takes place over 10 weeks. The program is online with an incredible group of women who come together each year. It takes them from where they now in their life in every category – spiritually, health, financially, relationships, socially, career – so that they have a snapshot of where they are now. I introduce them to my philosophy on life and help them get where they want to be in the categories where they don’t feel like they are a 10 out of 10. We’ll talk about how to enjoy the highest highs and navigate the lows. Every module I give them new tools and resources to use from the breath to conscious communication to mindfulness techniques. They complete the program being able to recognize patterns in their life that are not serving them, having the tools to change them and feeling more empowered. I like to call it a system software update for your life. You can learn more about the program and sign up here: http://bit.ly/kbflourish. Get $50 off your registration with code “50OFF”. Thanks so much to Katie for the inspiring interview! You can also follow Katie on Instagram at @katiebrauertransform.